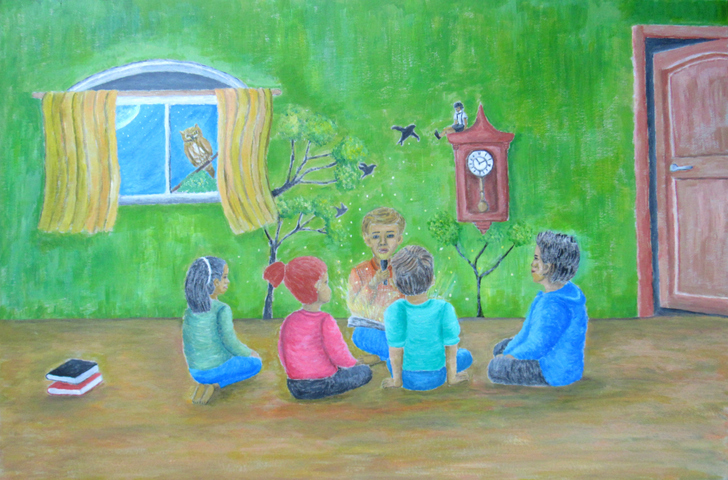 As a child growing up in the Philippines, I enjoyed listening to the adults in my family tell stories. I recall one afternoon when relatives came to visit. My cousins were outside playing while I was sprawled on the floor of the living room drawing pictures on sheets of paper that Dad brought home from work. He and Mom sat with my aunts and uncles around the table to enjoy a light merienda of rice cakes and fruit juice. I remember trying hard to stay still and quiet while listening in awe to stories about their lives in the rural provinces. Having been raised in urban Manila, I was transfixed by new images conjured from the imagination of a young mind. At the same time, I was transported to a new place. Listening to a live storyteller is like opening a human book. Not only do you get the words, but you also get the actual emotions from their voices and facial expressions. The Human Library Organization is a global movement that uses the power of personal storytelling to foster dialogue about social issues. Founded in 2000 and headquartered in Copenhagen, Denmark, the organization secures spaces in libraries, educational institutions and conferences for people to engage in transformative storytelling. Barkada’s goal for storytelling is three-fold: to spark conversation, to change people’s perceptions, and to influence their behavior. We have to transport them to a different place where they gain a new consciousness and a new way of seeing–a new human perspective. Listening to those who can affect change is the first step to engaging them. It opens the door for them to be heard which in turn opens a window for them to listen. Story begets story. It’s an emergent form of communication that naturally sparks conversation. The more stories are shared, the more learning happens to change people’s worldview. Learning forges relationships. In time, a level of trust is formed between the people who now share a common perspective. When we build community around a shared narrative, we are able to find meaning in our actions for creating change. Begin with the willingness to listen first. It sets you on a course to rediscover your young mind, set it free, and let your imagination transport you to a new place. Then invite others to share your vision and work with you to realize this place for all who need it.